It's Time To Give Your Garden Some Love! For a lot of people, there's nothing quite so satisfying as being able to make their home their own. They give it huge amounts of love and care and turn it into the kind of place where they love to be more than anywhere else. However, even with people like this, it's surprisingly common for them to avoid taking care of one specific part of their home: their garden. Sure, you might do a little bit of weeding here are there, but a lot of people really don't give their yards the kind of attention that they need. 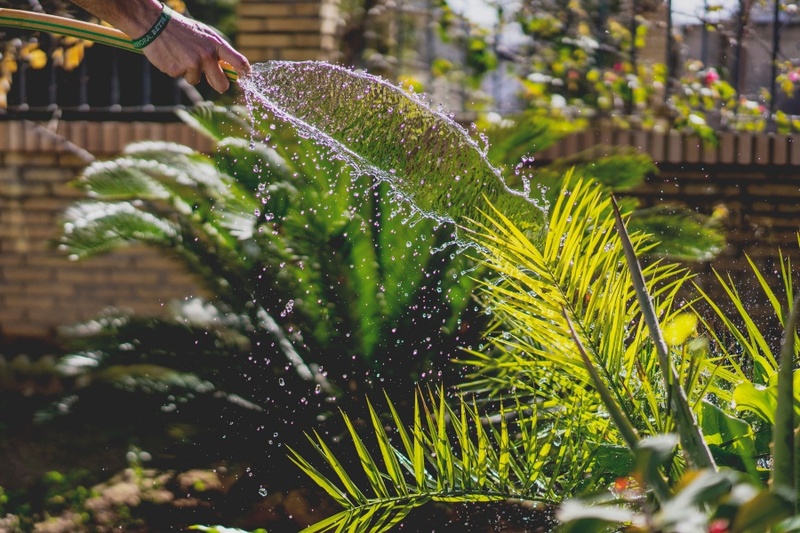 With that in mind, here are a few ways to give your garden just a little bit more love. If you want to get the most out of your yard, then it's a good idea to have a space that you really want to use. If you create a patio you'll love then you're going to be that much more likely to want to spend your time there, relaxing and enjoying your yard in the sunshine. In order to make sure that your patio is well taken care of, you've got to keep an eye on the weeds that sprout up from time to time. You might not notice them at first, bit if you let things get too bad then you're going to end up with a patio that looks incredibly untidy and will be that much less enjoyable to use. For a lot of people, their lawn is the thing that makes the most difference to how their garden looks. Sure, having to mow it regularly is kind of a pain, but if you let it get overgrown, then your entire yard is going to look far less pleasant to be in. Not only will it look untidy but when you do come to trim the lawn, the grass underneath with be yellow and starved of sunlight, making the whole thing look pretty washed out overall. Make sure that you're mowing your lawn at least once every couple of weeks. Then you can not only keep things neat, but you've got yet another part of your garden that you can actually use on a regular basis. If you really want to take your garden to the next level, then why not bring some life and color into it. By having some flower beds bordering your yard, you can make the whole thing much more pleasant to look at. Which flowers you choose is totally up to you, as is the way that you lay them out. If you're the kind of person who needs everything to be totally neat, then you can lay out clear rows of flowers. Or perhaps you'd rather just throw the seeds around and let things grow up naturally. Whatever you do you need to make sure that you're keeping weeds in check. The last thing you want is weeds taking up space that was set out for your flowers and making your garden look unkempt and overgrown.